What accounts for the rise and fall of so many civilizations—especially when some of them held more political power than their rivals? Author Joseph Sassoon tackles this question and many others in this, his second volume on self-actualization. 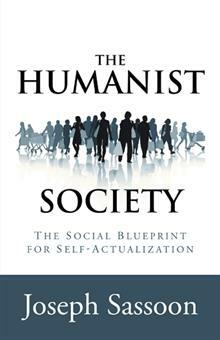 As a missionary for humanism, he explores the social conditions that are necessary for the greatest number of people to achieve self-actualization. In presenting his theories, he reviews the work of major thinkers, including Kurt Goldstein and his landmark book, Human Nature in the Light of Psychopathology; Charles Darwin; Buddha; and many others. • What is society’s role in helping individuals move toward self-actualization? • What benefits would society enjoy if more people achieved their potential? • What are the main characteristics of a humanist code? • What can we do to promote humanist values? A third volume in this series will establish the conditions required to bring about a world federalism based on humanism. In a changing world with competing ideologies, it is more important than ever to establish the importance of humanist values. In this study, Sassoon describes a step-by-step social arrangement leading to self-actualization for the greatest number of people in society. Joseph Sassoon is married with two children and two grandchildren. He is also the author of Self Actualization: Theory and Technology. He earned a bachelor’s degree in business administration from Long Island University in New York and is a retired real estate developer. The Humanist Society is the second book in a trilogy on self-actualization. Joseph is giving away a $25 Gift Card!